Birthdays can be so much fun to celebrate. For the Pittsburgh TasteBuds, attending a birthday dinner at a restaurant we’ve never been to before is even more fun. 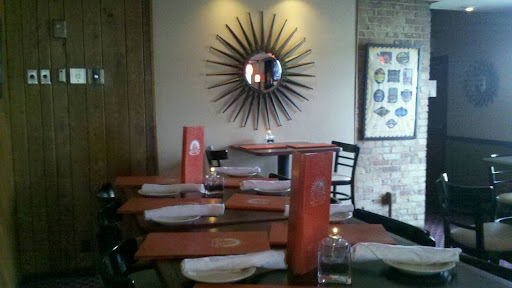 Recently we had the pleasure of celebrating a dear friend’s birthday at Solstice in Greensburg. As a result, PghTasteBudA has found the first Greensburg restaurant that he would actually go back to! After arriving early, we decided to indulge in a pre-dinner drink. Many creative options appear on the drink menu. 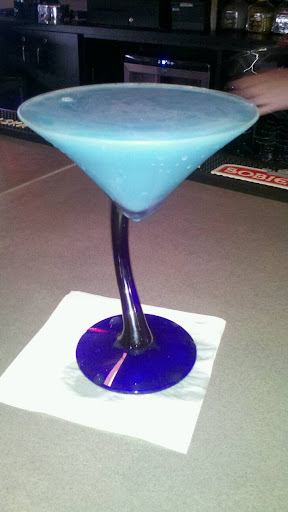 As seen in this picture, I had a Blueberry Muffin Martini. The drink was sweet and buttery, too rich for me to have a second. After the martini, we switched to wine for the remainder of the occasion. The table ordered a cheese tray to pick at while our entrées were made. I’m not a thorough lover of cheeses, but everyone at the table enjoyed the plate. 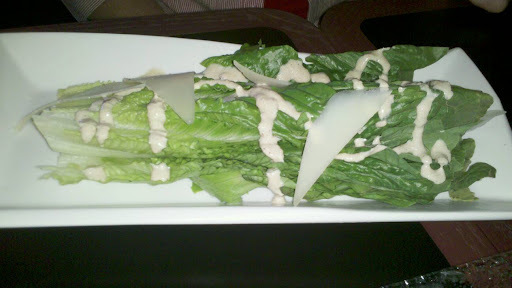 Both TasteBudA and the birthday girl had a caesar salad as a lead-in to the main course, which they raved about. 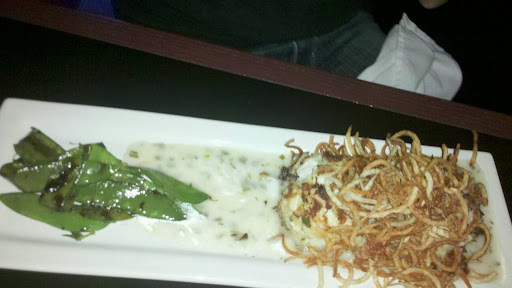 Ironically, TasteBudA and the birthday girl also ordered the Crabcakes for a main dish. As I recall, there was nothing left on their plate following the meal. Though he’s never been to Maryland, “Land of the Crabcake,” he proclaimed they were exactly what you’d expect a crabcake to be – not overly bready with a nice complimentary seasoning. 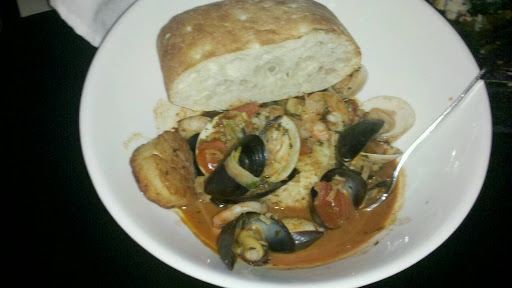 I had the Cioppino, a dish that I hold dear to my heart as our Christmas Eve dinner tradition. I wish I’d have had more bread to soak up the rich broth. In fact, the dish was too meaty and large to finish. And if it weren’t a fish stew that I wouldn’t trust myself to properly reheat, I’d have taken it in a doggy bag. The meal was a huge success. Everyone loved their food and the company. 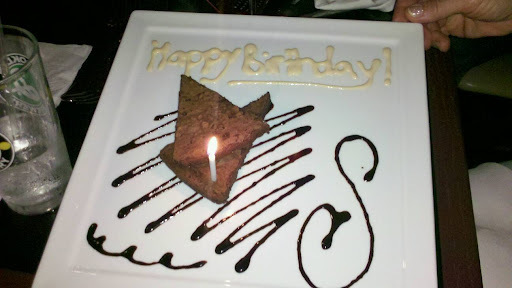 The meal ended with the birthday girl getting her flourless chocolate cake, which looks more like a brownie on the plate, but is her favorite dessert at Solstice. Kudos to the kitchen for taking the time to make her dessert plate a little extra special. The service was great and I look forward to going back again to try another spectacular item from their menu.